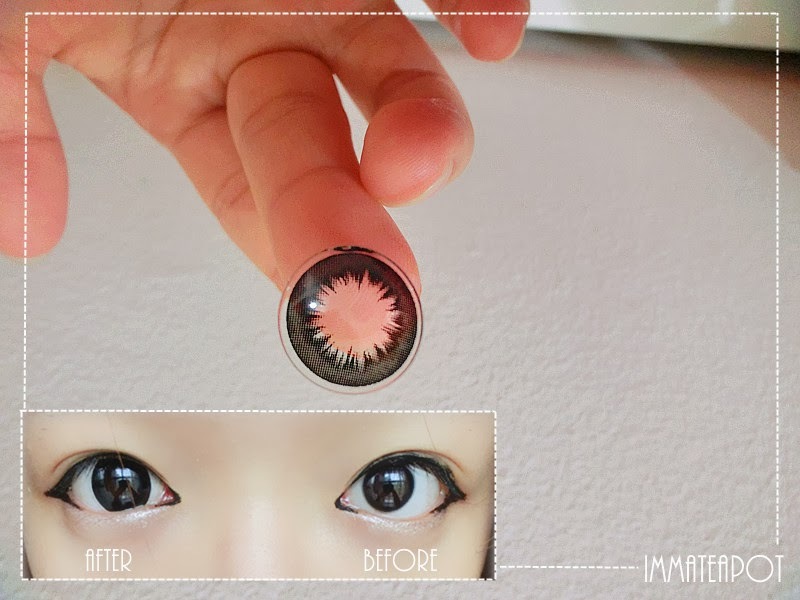 Recently, I have received a pair of GEO lenses from HiShop for review purposes. I bet most of the girls nowadays can't survive without contact lenses like I do LOL. I wondered how girls survive before the invention of contact lenses. When ever I go out for works, events or parties, I will put on contact lenses. It seems to become a trend and it's a must after we put on make up. Because I am those kind of girl that will definitely look weird without contact lenses but with makeup on, like something lost, my eyes are soul-less. Besides contact lenses can make our eyes soulful, it's important to choose the right contact lenses with high moisturity as most of the time we stay in air-conditional environment up to 6 hours or even longer. Here I am going to review on GEO CK105. Picture above shows the Before and After I put on the contact lenses. Clearly seen that the pattern of the contact lenses, it's something like the radiant of sun rays. After putting on the contact lenses, my eyes look larger and there goes the soul-ful-ness. Yet, the pattern of contact lenses have disappeared as they are black in color and so do my pupils. They may look slightly different if your pupils are brown. Besides, they are soft lenses, way more comfortable wearing them! The contact lenses are from Korea! So no worry, they are genuine GEO lenses. I do think that the diameter of this GEO lenses are just nice, it suits my eyes as I look so innocent and Korean on it haha! I will prefer black lenses like these as they look way more natural. 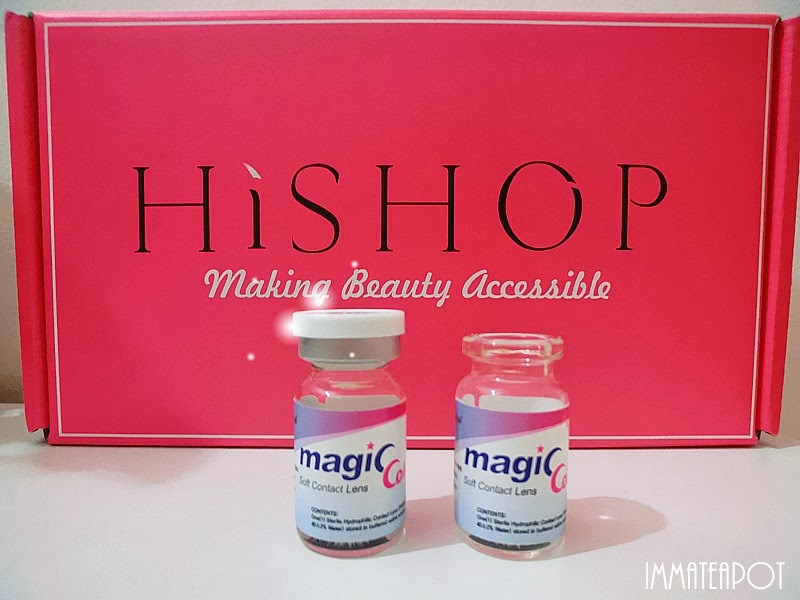 Moreover, the moisture level is kinda high as my eyes won't easily get irritated or redness after wearing for long hours. 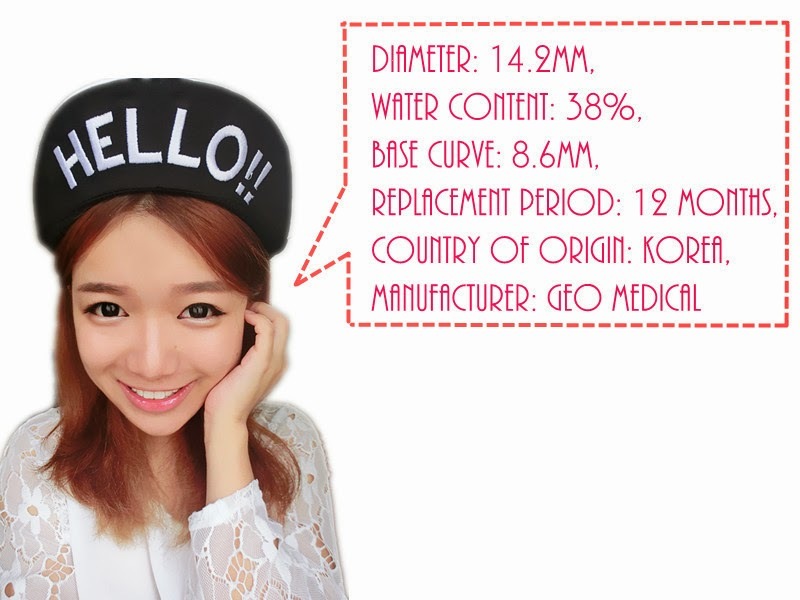 HiShop is having promotion for both GEO and Barbie Lenses on this November with 10% OFF! Grab it before it's too late! For my readers, code GEO20 then you will get RM20 exclusive rebates with terms and conditions applied.